Four years ago I quit my job, built a Tiny House, and began living minimally to reduce my expenses and debt. Today, I can afford to work for myself and travel the world multiple times a year! This page is a list of resources I’ve put together to help you achieve your dream goals through minimal living and travel. Never be afraid to take a risk or make your own path. Live without regret and empower yourself to make choices that are right for you, not someone else. The greatest adventures always begin with a single step in a new direction. 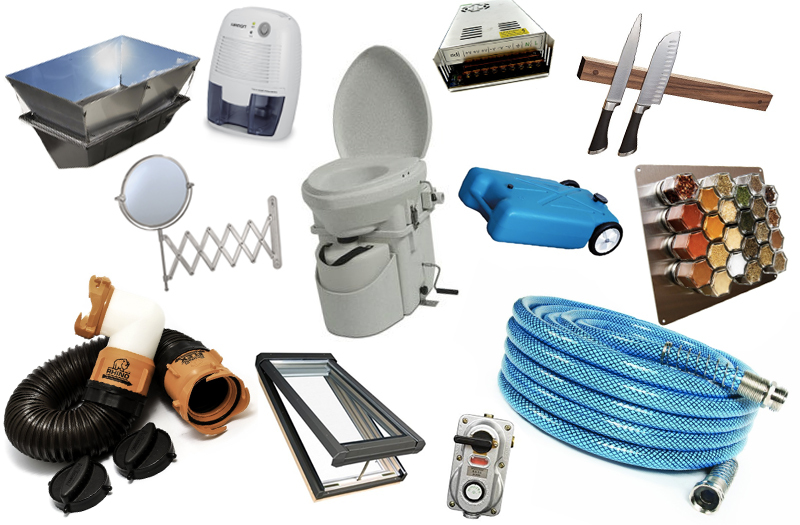 Click here for More Tiny House Systems! 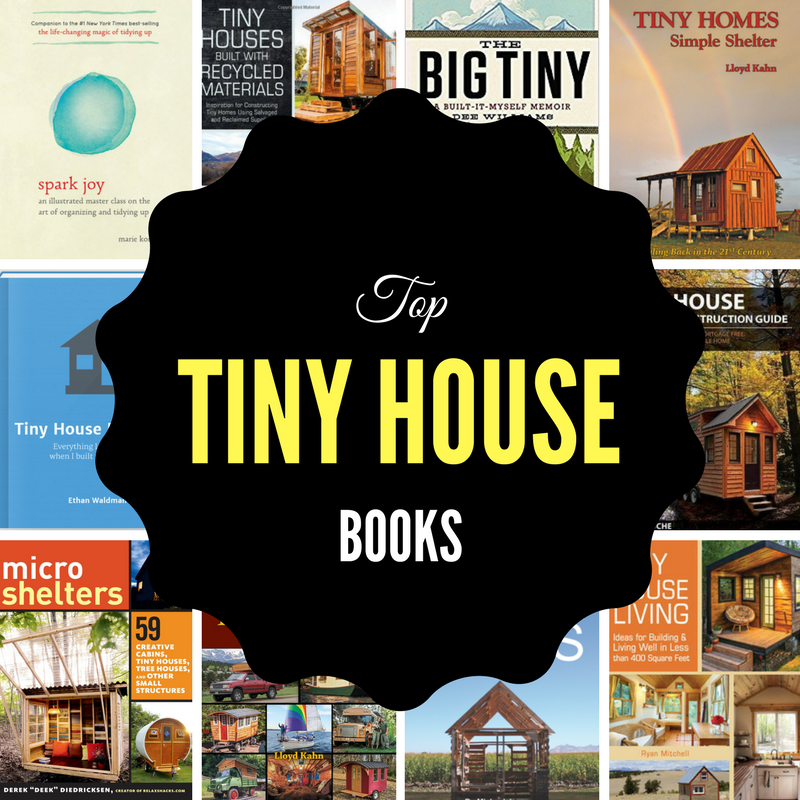 You can find a full list of my favorite Tiny House Books here. Special shout out to the book Tiny House Decisions by Ethan Waldman, which discusses the real challenges you face when going tiny. There are many decisions to be made, some big and some small. This book is a great guide for getting you over the hump and working towards your Tiny House dream. The book can be purchased solo or as a package with video tours and interviews. Click here for more info. I also highly recommend Tiny Home Builder’s Construction Guide. You can purchase the book alone, or with video tutorials. Great for someone getting ready to build. Do you want to travel the world like me? 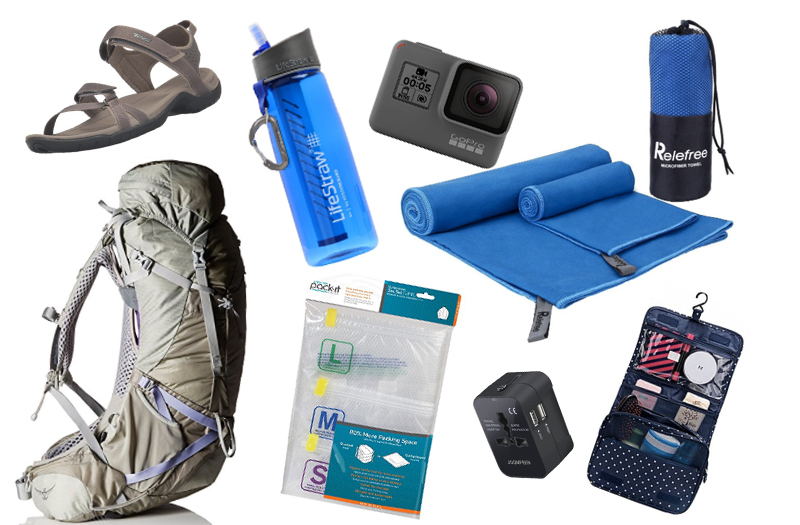 On this page, you’ll find out what’s in my backpack, including my favorite travel gear, women’s clothing, and organization tools. More Travel Articles & Guides! Booking.com is a great way to find affordable hotels with great reviews. I usually start my research here. When traveling solo I sometimes use Hostelworld for my budget accommodation with a social atmosphere. Hostels are a great way to meet fellow travelers, and the staff is usually knowledgeable about the area. I know some people have a negative idea about hostels, but I think it’s an amazing way to travel solo. 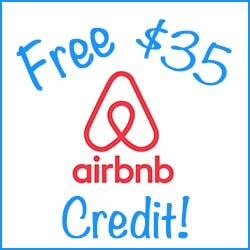 If I’m traveling with a friend or a group, I like to use AirBNB to find locally owned accommodation with a privacy and uniqueness. Many people will tell you: “Never travel without insurance,” and it’s true! I made the mistake once, and my bag with my passport was stolen! I had to rebook my flight home, and I lost hundreds of dollars of my belongings. Never again! I will always travel with travel insurance. The travel insurance I like to recommend covers medical and travel insurance while you’re abroad, and it’s VERY affordable compared to other companies, at only $37 for four weeks! 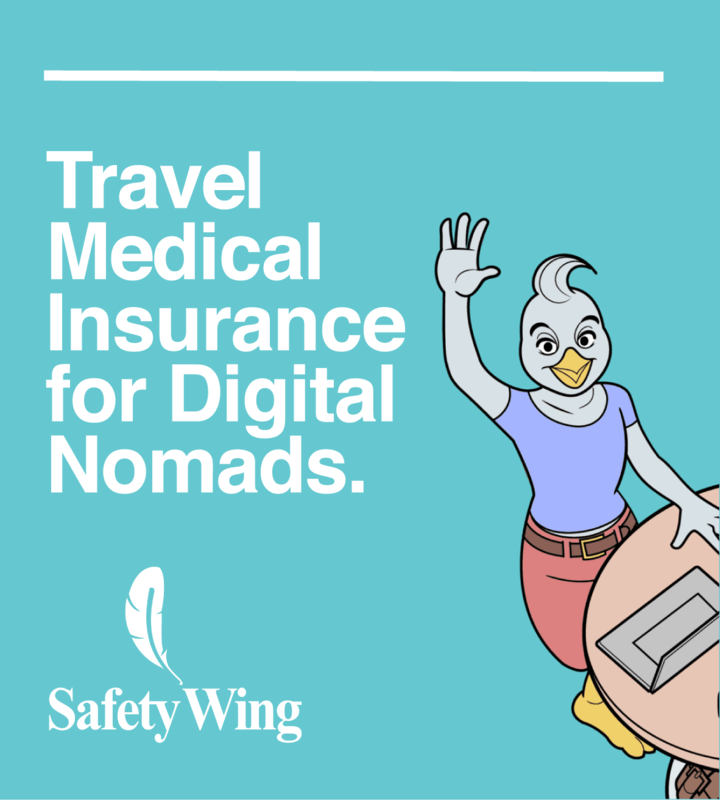 Click here or on the logo below for more info on SafetyWing Travel Insurance.